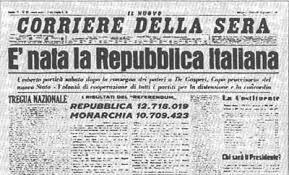 Italy’s Liberation Day (Festa della Liberazione), also known as the Anniversary of the Liberation (Anniversario della liberazione d’Italia), Anniversary of the Resistance (anniversario della Resistenza), or simply April 25 is celebrated in Italy on April 25 of each year. It is a capital day for the history of Italy, a symbol of the end of the second world war in the country, the occupation by Nazi Germany, which began in 1943, and the Fascist government. 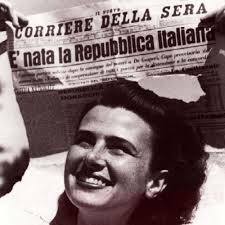 The date was chosen by convention, as it corresponds to the day Milan and Turin were liberated, on April 25, 1945. 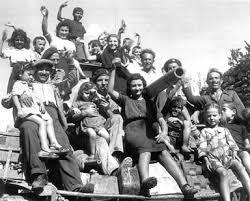 By May 1, all of northern Italy was liberated, including Bologna (April 21), Genoa (April 23), and Venice (April 28). The liberation put an end to twenty years of fascist dictatorship and five years of war. It symbolically represents the beginning of the historical journey which led Italy through monarchy to the institution of the Republic Government. Should you wish to discover more about Italian and Florentine History? Check out our History of Florence courses! Or if you prefere, have a look to our Guided visits and Art History courses at Galilei, where our professioanl teachers will lead you to discover the masterpieces stolen from Florentine museums during the II World War.